TRUCKER DIABLO New Single "The Rebel"
Northern Irish Rockers TRUCKER DIABLO are back now with a new single “The Rebel” from the forthcoming album "Songs of Iron", sets the tone that they aren’t messing about. Hard hitting, full of passionate vocals and heavy guitars, “The Rebel” hits you between the eyes and rubs them better all in the 5 minutes of its entirety. They took 2012 by the throat and played a massive 40 shows, which included some key highlights from playing in Hammerfest with Anthrax, supporting Foo Fighters at Tennents Vital, supporting Terrorvision on their UK tour, rocking crowds on the main stage at Hard Rock Hell festival and topping off 2012 by supporting their heroes Thin Lizzy in Belfast. 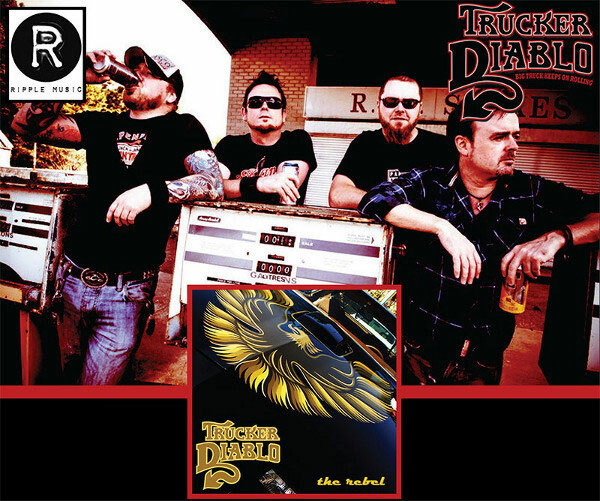 TRUCKER DIABLO’s second album “Songs of Iron” will be released in May 2013 through Ripple Music. There’s a big open road in front of TRUCKER DIABLO, jump on board, be a part of the convoy and catch them on tour in the US and UK in 2013.